In a new report, FireEye reveals the five advanced malware trends of 1H 2012-and how cybercriminals are successfully evading today's traditional IT defenses. 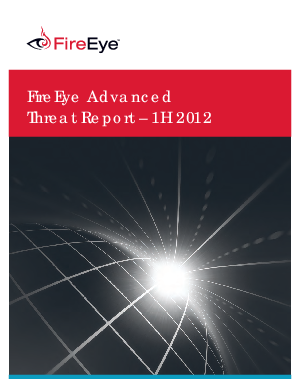 Get an inside look at the top threat trends of 1H 2012 based on research from the FireEye Malware Intelligence Lab. Discover what new tactics were used by cybercriminals and which attacks were the most successful-and lethal.